The right product at the right time will improve customer satisfaction and will enhance your profitability and cash flow. Inventory sits at the heart of all supply chain issues. High inventory levels hide a host of management evils. Inappropriate inventory levels are the strongest internal indicator of a poorly informed or poorly managed supply chain. 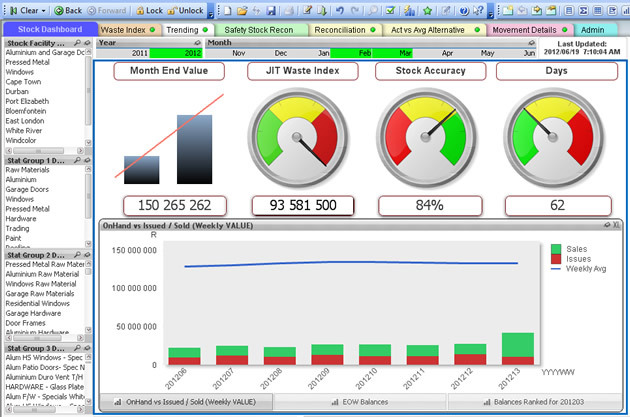 For this reason, it is critical that all managers associated with any element of the supply chain make frequent use of this dashboard. 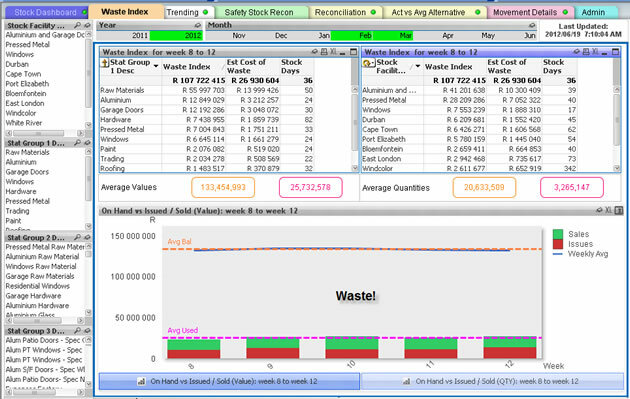 This Dashboard is intended to assist the management team to assess whether the levels of inventory are optimised and to help identify possible inventory problems. Good governance and reduces loss and theft. 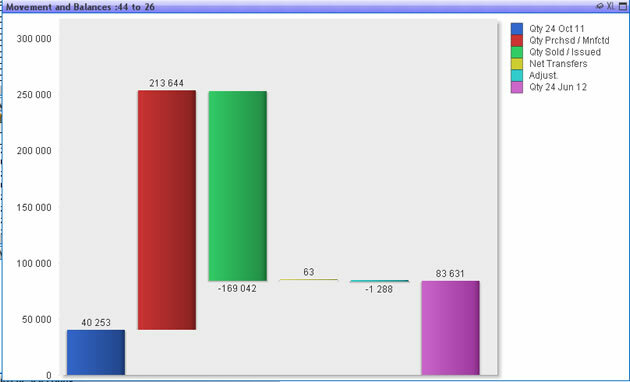 The dashboard shows balances as at today but also shows the trend of balances at daily, weekly and monthly levels. It also allows mangers to go back to see what the balances were at a point in time at an SKU and at an aggregated level. The dashboard shows you the movement in inventory between any two points in time. This is extremely useful for reconciling balances and can also be viewed in grid format.